So speaking of Guru Ram Das… Who is this illustrious person? Guru Ram Das was the 4th Sikh Guru as well as the perfect embodiment of open-heartedness, kindness, humility, and most of all, service. Yogi Bhajan spoke of Guru Ram Das as holding the “Golden Chain”, which you may hear your yoga teacher mention in the beginning of class before you tune in with the Adi Mantra (Ong Namo Guru Dev Namo). 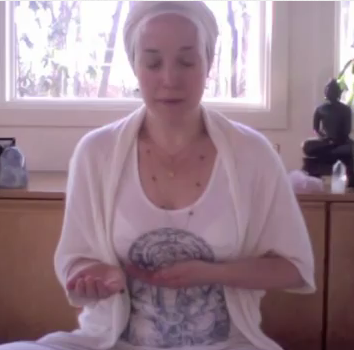 The Golden Chain is what connects all Kundalini Yogis to the teachers and practitioners throughout the course of its history. 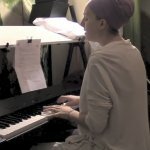 When we chant to Guru Ram Das, we are not only invoking the spirit and legacy of this beautiful saint, and connecting more deeply to the history of our yoga practice, we are also invoking our own potential as “servant to the Infinite”—the meaning of his name (Ram = God, Das = servant). Did you happen to notice that the word “guru” is used five times per recitation of this mantra? Guru is an interesting composite word, formed of “gu”, which means darkness, and “ru”, which means light. To get a little more deeply steeped in meaning, I like to think of the word guru in terms of the culture out of which it emerged. In India, it is commonly held that we go through many lifetimes—as humans, sure, but also as plants, animals, etc… Our soul cycles through as many iterations as we deem it necessary to, in a sense, “win” the game of life and achieve merger with the One. It is said we go through 8.4 million cycles before this happens. You know, give or take. Guru is not just a person that can lift our spirits when we are sad, or whips us into shape when we are lazily coasting through our life—although many people have physical “gurus” who do this for them. In a grander sense, guru is the energy of transformation. Guru is what connects us to the unknown, to the mystery beyond the experience of our five senses. It carries us from the illusion of this physical reality to the Truth of our eternal nature. So when we think of the play between light and dark, we are talking about something much bigger than moment to moment (though it applies there as well). We are talking about the energy force that has carried us through each lifetime, slowly wending us towards the infinite Truth and our final destination to merge with Infinity. It is a little bit powerful, to say the least. And you get to invoke this energy five times per recitation of this mantra. Pretty sweet! 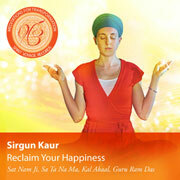 The Aquarian Teacher Training manual calls this mantra the “Nirgun/Sirgun Mantra” (yep, that’s my name in there!) because it can be broken down into these two phrases: The first, Guru Guru Wahe Guru, calls upon the “formless” (nirgun) aspect of the Infinite. The second, Guru Ram Das Guru, calls upon the “formed” (sirgun) aspect of the infinite. Huh? Yeah, let me backtrack a bit. So “gun” refers to the three qualities of nature (gunas)—tamas, rajas, and satva. All physical reality as we know it is made of these three qualities. I won’t go into their exact meanings here, but suffice it to say they give the natural world its unique characteristics. When we chant “Guru Guru Wahe Guru”, we call upon “Wahe Guru”, which is beyond all these qualities. It exists without being constrained to form or qualities. Wahe Guru exists beyond our ability to directly comprehend or interact with it. Wahe Guru is simply too Great, too vast, too… everything. We can relate to this Infinity through that transformational energy of guru. 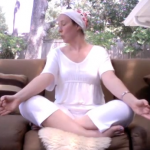 I hope my personal ramblings on the Guru Ram Das mantra have helped you. While I do amuse myself with these kinds of explanations, the only real way to understand a mantra is to use it. I invite you to go forth and chant!